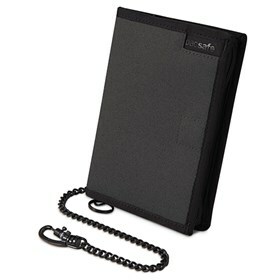 The Pacsafe RFIDsafe Z150 compact organiser wallet is a RFID blocking wallet in the new Pacsafe Z series range. The Z series range is made from a rugged and durable canvas material, combined with a slash resistant metal chain and organisational features to safeguard your cash and cards. Pacsafe's RFIDsafe Z150 wallet features a new material with silver RFID blocking fibres actually woven into the lining material of the wallets. This protects personal information stored in your RFID chip on your e-passports, credit cards / smart cards, and key cards with Pacsafe's state of the art material that blocks out transmissions and stops personal information from being accessed by identity thieves. 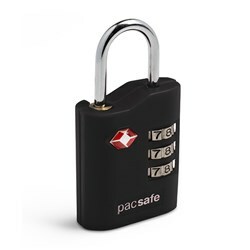 The Pacsafe RFIDsafe Z150-Charcoal has many exciting features for users of all types. You can extend the lifetime of your Pacsafe RFIDsafe Z150-Charcoal with the purchase of a FactoryOutletStore Factory Protection Plan. 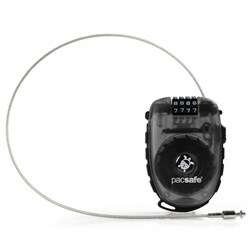 See the Pacsafe RFIDsafe Z150-Charcoal product video and gallery images above for more details. FactoryOutletStore stocks a full line of accessories like 4 Dial Retractable Cable Lock and Combination Lock for the Pacsafe RFIDsafe Z150-Charcoal. The Pacsafe RFIDsafe Z150-Charcoal is sold as a Brand New Unopened Item.